Mandisa didn't win American Idol and she's one of the many examples that you don't have to actually win the competition to become successful. Mandisa finished 9th place in season 5 of the hit reality tv show American Idol. Taylor Hicks the young grey headed guy eventually won the competition but Mandisa has seen much success. She has been nominated for both a Grammy and a Dove award. Her first album "True Beauty" released in 2007 reached #1 for Hot Christian Albums and after one Christmas EP and a Christmas album in 2007 and 2008. 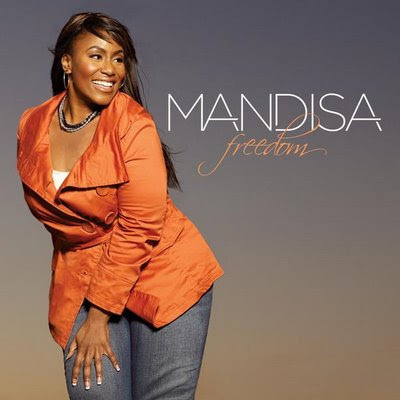 Mandisa is back with a new album (Freedom) full of original material, inspiration and praise for God. Many fans of American Idol and Mandisa may notice her new look. She has lost over 70 pounds! I must say she looks great and sounds even better. If you are a fan of Modern Pop-Rock Gospel, I must recommend this album. Even if you're not a huge fan of Pop-Rock Gospel (I'm not!) I think most would enjoy the message of the music (I do!). Especially her new single "He Is With You"
"He Is With You" is a powerful song that tells you through all you go through in life, God is with you. When you doubt yourself, he is still there and when everybody has turned against you, he is still there. Something we all need to be reminded of. Her vocals are so strong and she sings with passion. Her soul touches your soul in this song.